From the sweetest bouquet to the grandest arch, Wonderful Weddings will add the final touch of beauty to your unforgettable day! Gorgeous flowers can create a stunning atmosphere at your ceremony and set the tone for your celebration. We understand that your flowers need to be a work of art while reflecting your style and personality, and our designers take great care in listening to you, providing superb service and delivering fantastic florals. _It is all about you! A wedding florals design specialist will meet with you for a free consultation to discover your vision and discuss design elements. 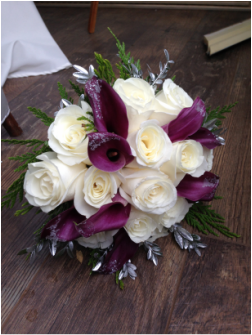 Our goal is to provide you with flower arrangements and accent pieces that will take your breath away. It all starts with you... contact Wonderful Weddings today. Another of our goals at Wonderful Weddings is to offer cost-aware wedding packages to help keep your wedding budget in check without compromising quality. You can view our wedding packages, complete with costs by clicking here. Please visit our wedding gallery to see a few of the many floral designs we've created... each one is unique and special, just like our clients.